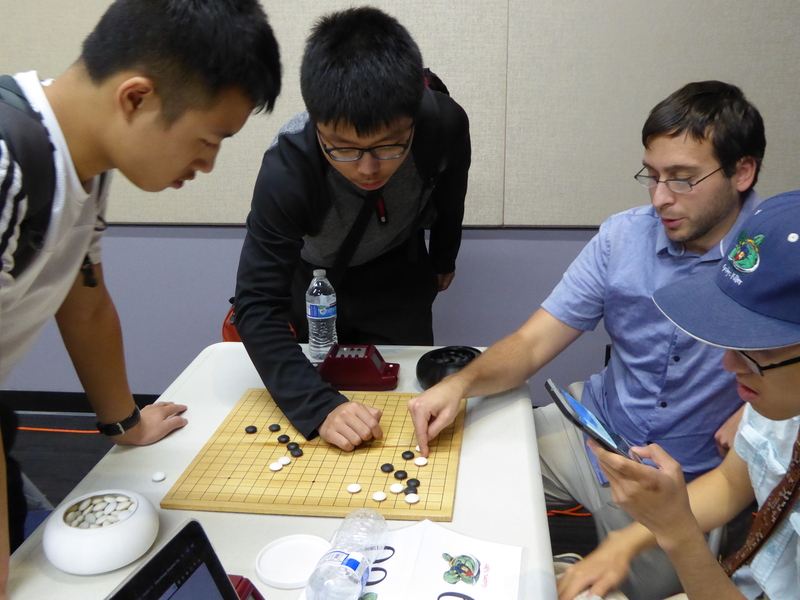 The American Go Association has come a long way since I first became active in 1985. In those days the place to be was on the East Coast with far more events and tournaments. But now, we have wonderful broadcasts of top professional games, and if you live on the East Coast, as I do, they don’t start until 1:30 in the morning, making the West Coast the place to be. Bleary-eyed bitterness aside, it is a great time to be a Western go fan, with access to world news, live streaming events and global opponents as close as your nearest screen. 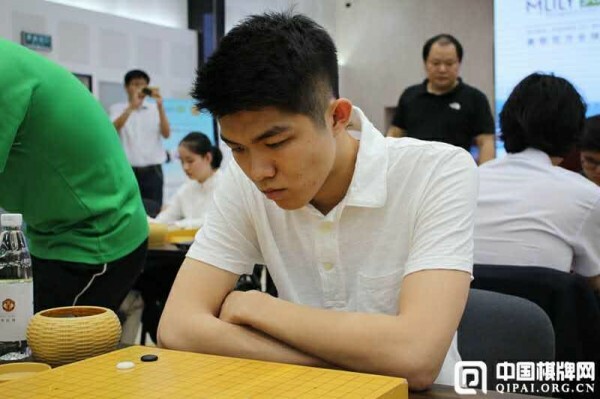 Having just finished my Kickstarter download of “The Surrounding Game” documentary, which focuses its wonderful introduction to the world of go on the birth of our professional system, being confronted almost immediately with Ryan Li 1P’s victory over two-time world champion Chen Yaoye 9p last week was pure serendipity. There is a moment in the film where I express my skepticism about our pro system effort. I should explain, as I swallow some crow, that my main objection was always concern that we could not provide our new pros a living. I would sarcastically urge players to “keep your day job” at meetings when the topic came up, but I should confess that I also had concerns about how strong our pros would be. Now, as we celebrate Ryan’s win, it’s a good time to take a moment to appreciate the route we have taken to get here, and why this is such an amazing accomplishment. Those of us used to the bullet train of the modern internet go world might benefit from a little history from the guy still riding the rusty bus several stops behind. For decades, American players had no chance to play a professional at all, certainly not in a serious game. Apart from occasional, usually Japanese, pro tours, we could only look at their game records, on paper, received months after the games were played. We s tudied, and we played as much as we could – usually once a week at our local clubs. The US Go Congress was the first change. Beginning in 1985, American go players, at least for a week, once a year, could grab a simul or three from professional go players. But this only made the gap seem all the more vast. In 1986 at the first Seattle Go Congress, our strongest player Charles Huh played Sakata 9 dan in a two stone one-on-one exhibition game. Sakata, one of the greatest players in history, was no longer at his peak form, yet Huh was helpless at two stones, and that was with Sakata outside most of the time on smoking breaks. In the 1990s, Western players started to have chances to play professionals in serious matches during the annual Fujitsu Qualifiers. Still the gap seemed evident – as Michael Redmond 9P played for a decade without a loss to an amateur player. But the 1990s also brought the internet. Access to news, sgfs, opponents and unlimited chances to play began to increase the Western level of play. While I do not mean to diminish the efforts of our early professional teachers — Feng Yun, Yilun Yang, Zhujiu Jiang, Ming-jiu Jiang, James Kerwin and others — the steady shrinking of time and distance provided by the internet has broadened, amplified and, arguably, exceeded their efforts. More and more opportunities to play pros arrived, and Western players started to win. On the one hand, I do not think this was a matter of percentages — more games does not guarantee more wins — I think we were actually getting stronger. However, the wins were often against non-active pros, certainly not against current top international players. All that changed last week. 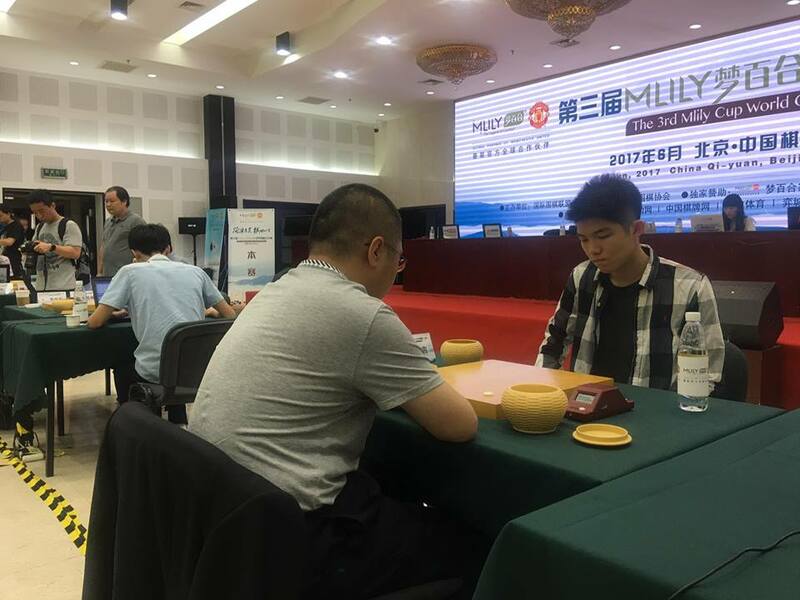 In a serious international event, a Western pro defeated, not just a pro, not just a 9 dan, but a 9 dan world champion in his prime. It is an accomplishment for Western go that is simply unequaled. Before this week, I would argue that our greatest accomplishment was Eric Lui’s third place in the World Amateur Championship. 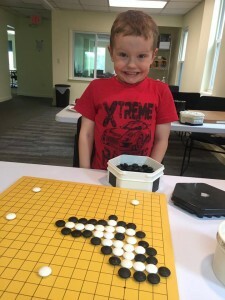 We cannot forget the significant accomplishments of Michael Redmond 9P, but because he trained in Japan, I submit that Redmond’s success is the success of a Westerner, not the success of Western go. Ryan Li 1P, homegrown and homemade, has announced to the world that we are more than a grateful recipient of support and a vacation opportunity; we are now a force to be reckoned with. We also owe an enormous debt of thanks to Myungwan Kim 9 dan. Without his vision, help and guidance we would not have been able to put Ryan where he clearly deserved to be. There will be a 5-day go workshop conducted by the Japanese delegation to the 2017 US Go Congress in San Diego. The Nihon Ki-in is sending Yamashiro Hiroshi 9p (vice chairman of the Nihon Ki-in, director of INAF) and Tsuruta Kazushi 4p to work with 7-10 very strong US and Canadian attendees at the Congress. The target audience are the under-thirty (U30-years-old) North American players ranked 6 dan and above, including AGA professionals. Either Yamashiro or Tsuruta will play a game against one of the attendees from 1-3 p.m. (SMTThF). Then from 3-4:30 p.m., there will be a game analysis by both Yamashiro and Tsuruta for all workshop attendees. To register for the workshop, Congress attendees should send an email to the Congress professional coordinator, I-han Lui ihan.lui@gocongress.org. If the number of requests becomes too large, priority will be given, in order, to AGA pros, U20 amateurs, and higher-ranked amateurs. Friday is “another great night to play with a dedicated group of attendees,” NGC organizers add. “Check the schedule for other nights before you come as our summer schedule is a little less regular.” Details on the NGC’s Facebook page and follow the NGC on Twitter. 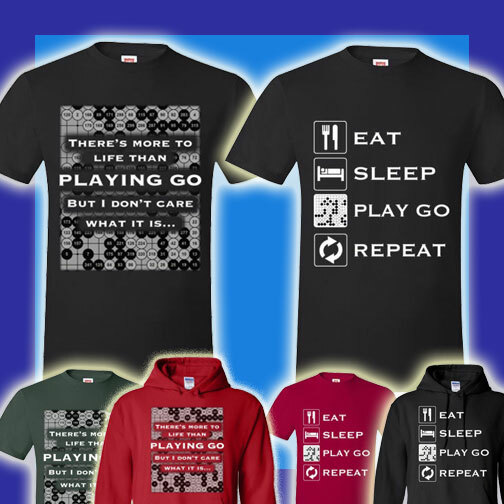 Shirt designer and “passionate” go player Joel Gabelman has a unique line of go-themed tee-shirts and hoodies available. One in particular — “Eat. Sleep. Play Go. Repeat.” — might be a must-have for anyone planning on attending the upcoming US Go Congress. Gabelman is offering 15% off for customers using the discount code TESUJI. 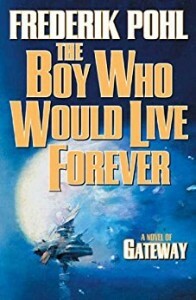 Mark Stinedurf of the Maui Go Club found a reference to go in the last HeeChee novel by Frederik Pohl, “The Boy Who Would Live Forever,” published in 2004. He was 41 pages into the book and what does Pohl throw in there… a go reference. It was about something one of the prospectors found in an old HeeChee tunnel. Apparently even aliens like go. Slate & Shell is offering a special opportunity for US go clubs and AGA chapters to get books for prizes and libraries: 50% off on all Slate & Shell books. Minimum order is ten books. Send an email to customerservice@slateandshell.com for instructions. McLean, VA: Hope Chinese School’s McLean campus is looking for a go instructor for the 6-week summer camp during Jun 28 – Aug 11, 2017. It is a paid position. Contact: 703-371-3414, hcscamp.va@gmail.com. The summer camp has an emphasis on Asian culture, and the camp director Dinny Li hopes the instructor can teach 2 hours in the afternoon, two to four times a week. When the 2017 US Go Congress last year signed its contract with the Town and Country Resort, the committee thought that 200 guaranteed rooms a night was being optimistic, reports Congress Co-Director Ted Terpstra. Now, with more than a month to go before the August 5 arrival date, there are only 25 rooms left at the contracted prices of $135 plus fees and taxes for Garden rooms and $170 for the Royal Palm Tower rooms, respectively. (These prices are for one or two people in a room; it’s slightly more to have a third or fourth adult in the room. Children are free if they are third or fourth in the room.) When the 25 rooms are booked, rooms the hotel’s available rooms will move to the going public rate, currently $190 for a Garden Room, $198 for a Regency Tower Room and $246 for a royal Palm Tower Room, plus taxes and fees. If any of the 200 Congress contracted rooms are not booked by July 1, the Congress will have to return them to the hotel’s inventory for letting out at current rates. June 30 is also the end of the second early bird period. On July 1, registration will go up by $50 and meal plans costs will be increased by about $100 for the breakfast, lunch and dinner plan. Act now! The longest-running internet tournament, the 22nd Pandanet Internet World Amateur Go Tournament (IWAG) is now accepting registrations. The free registration requires the player to have an established rank on Pandanet, which is established after playing 20 games there. Depending on their playing strengths, the players are divided into five groups. First-round winners are selected from Asia, Americas, and Europe by a 2:1:1 ration to play a knock-out tournament in the higher rounds. Generous prizes are provided.